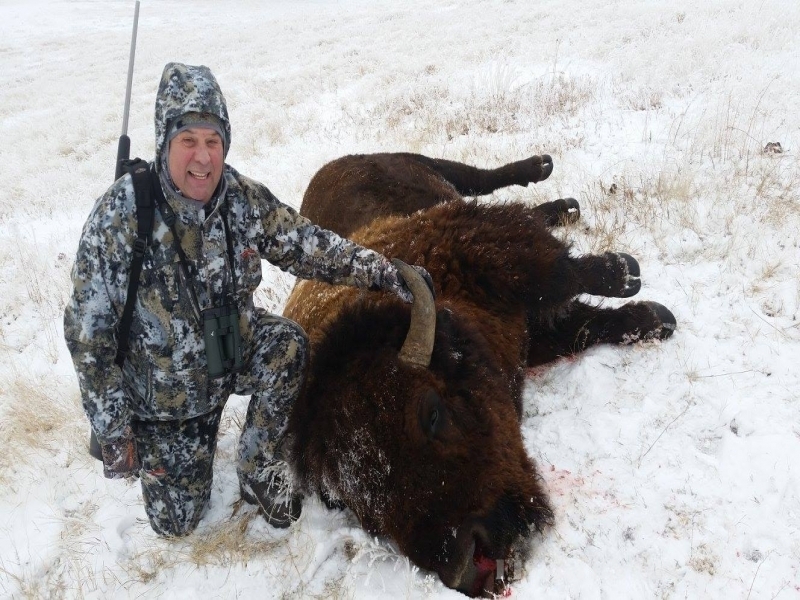 Brown’s Lake Oahe Lodge, in Gettysburg South Dakota, a true hunting and fishing destination. 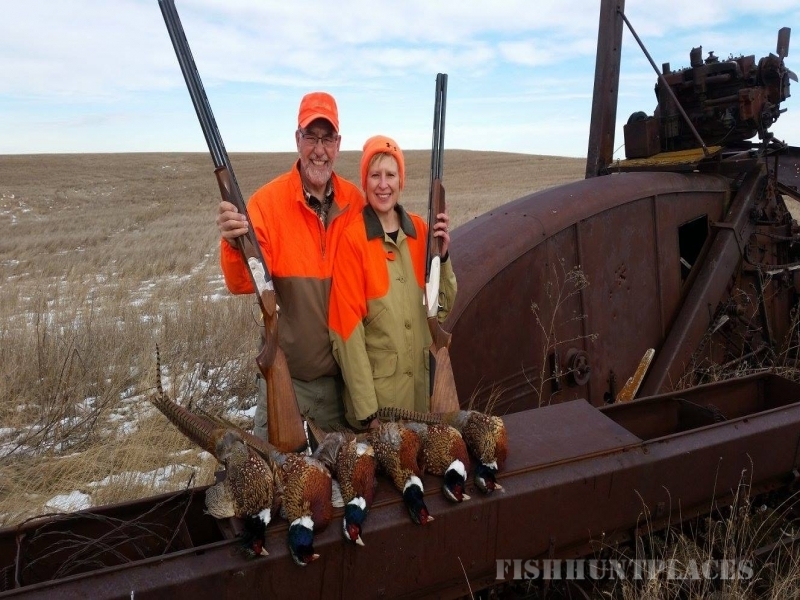 First class upland bird hunting, waterfowl, and big game are the main stay at Browns. Fish Lake Oahe on the Missouri River for fabulous walleye, large pike, and a good population of big smallmouth bass in both open water and through the ice. Channel catfish from the cold waters of Oahe make a great meal all year long. Fish during the Chinook runs in the fall and you might tie into a trophy salmon. We feature knowledgeable guides with well equipped boats outfitted with everything you’ll need. Our guides know the lake and how to fish it. The Missouri River/Lake Oahe is a magnificent fishery the fish here are numerous and aggressive, one of the best bodies of water you’ll ever fish. 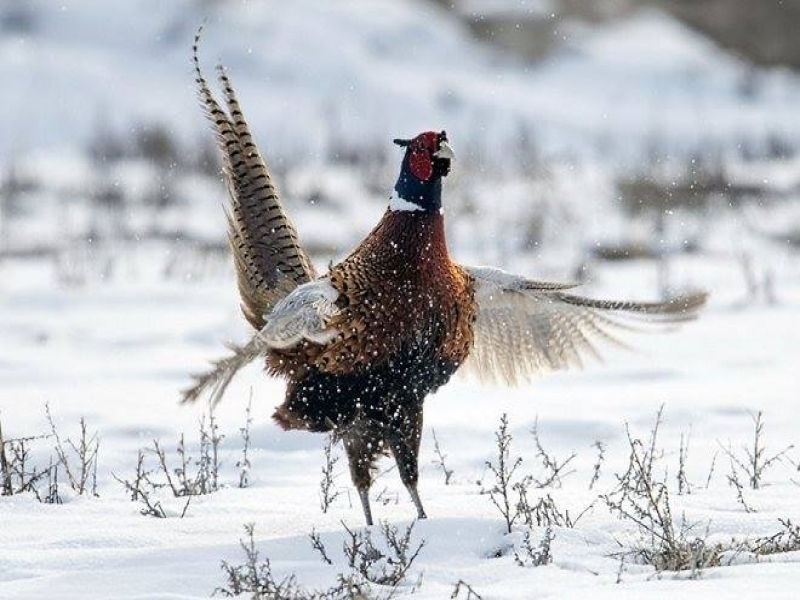 Our signature hunts are upland bird hunts on 100% wild birds gunning over well-mannered and stylish bird dogs on over 100,000 private acres. You’ll find our guides to be good dog handlers and knowledgeable about the land and habitat. Our habitat programs provide nesting cover, food plots, shelter belts, roosting and loafing areas to maximize our bird numbers. “Great hunting just doesn’t happen by accident”. 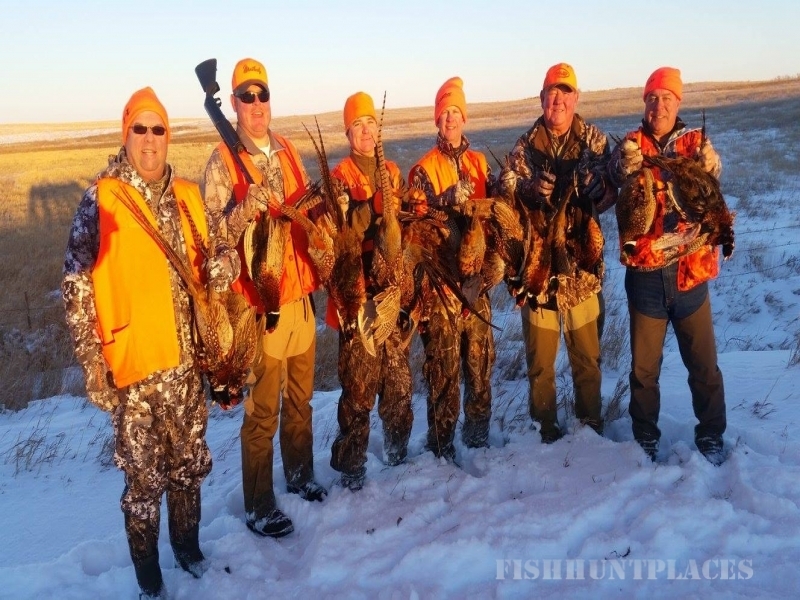 With a maximum of 12 guns in camp we limit the hunts to 4 guns per guide. We strongly suggest double guns, because they make being safe easy. Our strings of bird dogs, both pointing and flushing hunt for the gun, are staunch and steady and are, by far, one of our greatest assets. For those who own gun dogs, we realize the importance of hunting with your own dog and we welcome you to bring your own dogs. Sunflower and cornfields stretch as far as the eye can see. It’s a feed lot for all the wildlife, however the deer herd greatly benefits. Massive whitetail and mule deer roam the river bottoms, coulees, timber areas, draws and swamps that make up a true hunting paradise. 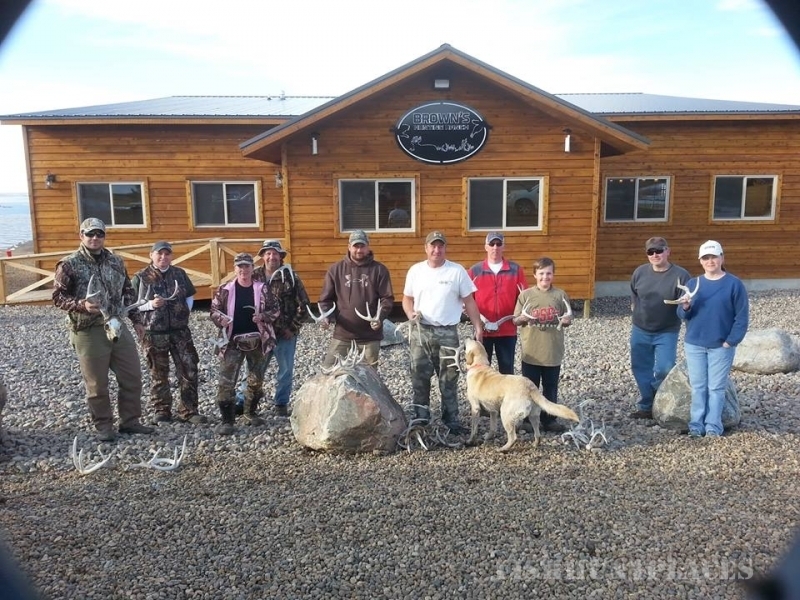 We limit the number of trophy deer hunts to ten archery only, to assure you of quality animals. Book your hunt early, as they fill fast. This part of South Dakota is also part of the prairie pothole region, where prairie lakes dot the landscape providing the perfect breeding and resting areas for both local and migrating waterfowl. 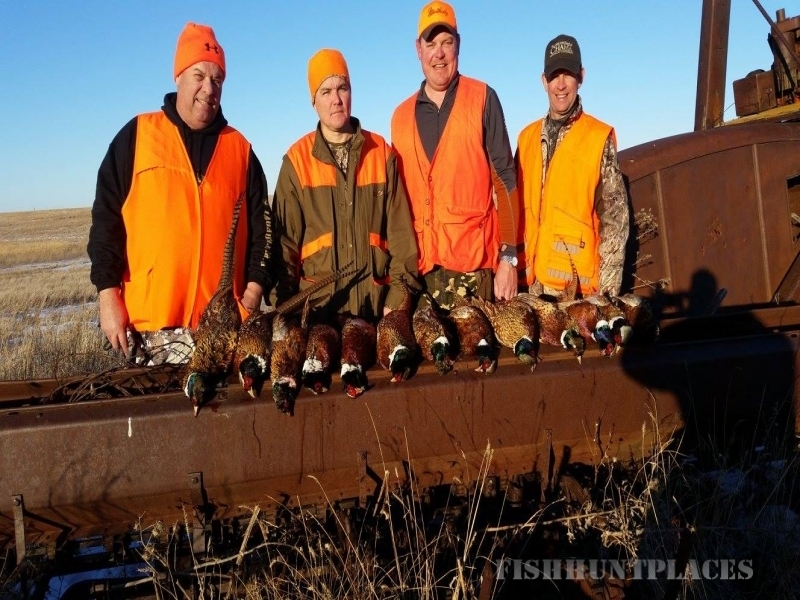 Hunting ducks with us you will have a chance to shoot a variety or species. We offer both field and water hunts. 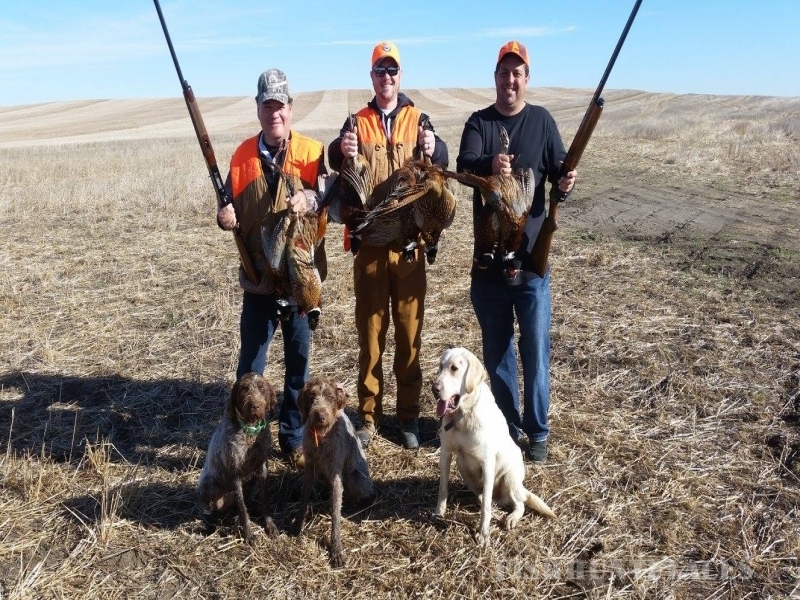 A morning duck shoot and an afternoon upland hunt is great way to spend the day with us. Our destination packages are all-inclusive, providing you with first-class lodging, dining, courteous service and hospitality assuring your stay at Brown’s will be one you will remember. Each guest stays in their own private cabin, where kingsized beds and fireplace await you at day’s end. All guest cabins and the main lodge offer a great view of Lake Oahe. Dine while honking flocks of geese barely clear the roof tops, listen to cackling roosters and watch deer peacefully feed a stones throw from the main lodge. We pride ourselves on our attention to detail. Your enjoyment is first and foremost. We look forward to you spending your time with us.